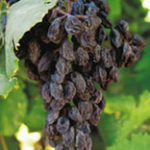 Owner, Don Kizirian, grows his own table grapes to ensure the quality of the Raisins on the Vine. During the winter the plant lies dormant waiting for spring. 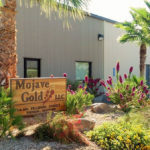 As the warmth of the early desert spring takes effect, buds will form at each node. 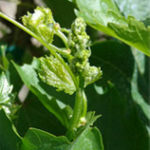 After three or four leaves have developed from each bud, flowers will start to appear. At this stage, the flowers will have feathery tips. These are the parts of the flower that need to be polynated to produce fruit. Pollination occurs by wind, so it’s important for the wind to ripple between the flowers. Plucking off all leaves along each cane below the flowers is what is called “leafing”. This also allows for the plant’s energy to go into filling out the grapes rather than into making new leaves. 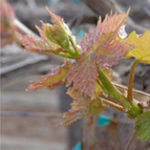 Vines can overproduce, which results in degradation of quality. To correct this, the process of “thinning” is done to misshapen and excess clusters. 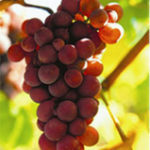 Mature flame grapes can handle approximately 40 clusters for each vine. As the temperatures rise, the grapes begin to change in color. Depending on sugar levels, the grapes need about one to three weeks after they’ve changed color to be considered ripe for harvest. 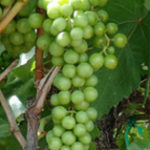 Table grapes don’t need as much sugar as raisin or wine grapes to be considered ripe. They usually reach between 16 and 18 percent before they are ready to harvest. Our Raisins on the Vine require over 22 percent sugar for top taste and quality. Once ready for harvesting, our raisins are cut and hung on the vine for a natural sun-drying process. Once completely dry, the raisins are kept in storage as they await the hand-washed, hand-trimmed, and hand-packaged process.